Coffee from a coffee machine. How to bring out the most exceptional flavour? - Fore. Living Solutions. Coffee from a coffee machine. How to bring out the most exceptional flavour? First of all, water. It is best to use low mineral content or filtered water, since tap water and mineral water tend to change the flavour of our beverage. Secondly, proper storage. I often see that people tend to pour the beans into glass or plastic containers. This is a mistake – you should always store your purchased coffee in its original packaging, which is suitable for this purpose. After opening, just close it with a special clip. Thirdly, milk. If you want the perfect foam, steam chilled milk and add it to your coffee. Cold milk taken straight out of the fridge and added to the cup will lower the temperature and worsen the aroma of our energetic beverage. This is not what we want, right? Even the best beans need proper treatment, and in order to ensure it, you will need a suitable coffee maker. The best choice for your home is a powerful espresso machine. As it turns out, there are models that match the quality of workmanship of devices equipped with a professional portafilter. 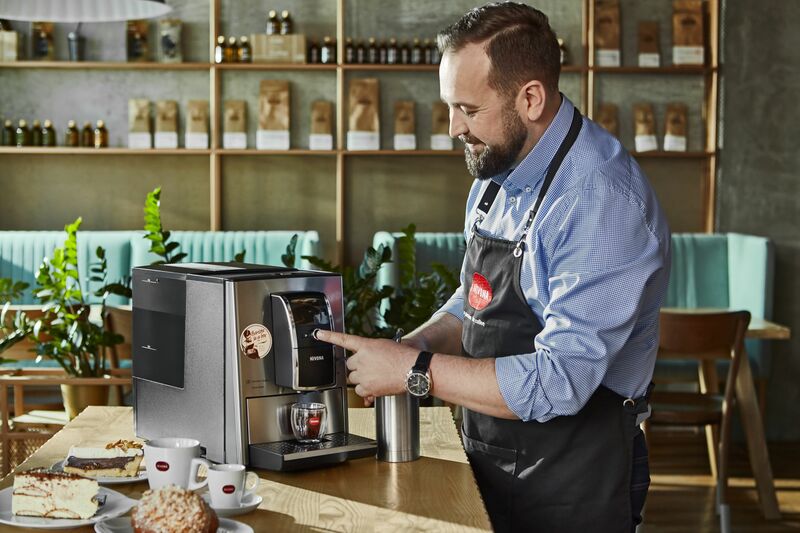 The first proposition is the Nivona CafeRomatica 8 series of coffee machines – and it is pretty easy to see that they might be the perfect Barista in a Box. Why? They are equipped with the Aroma Balance system, allowing you to influence the aroma and flavour of your coffee. There are three aroma profiles to choose from – dynamic, constant and intense – allowing every household member to find their perfect match and forget about monotony. These machines offer tailor-made coffee that meets barista standards. The machines can store up to 10 individual drink recipes in their memory, allowing everybody to choose their preferred beverage, which suits their taste and preferences. The way I see it is that this is a perfect solution, particularly if the device is used by a large number of people. For the fans of milk blends, the 8 series has the OneTouch Spumatore function in store. A perfect latte? No problem. Just press the button to start preparing the drink. This is a very convenient solution because you no longer have to heat up and froth the milk separately, everything just happens on its own in the machine. moreover, the Cappuccino-Connoisseur option allows you to get a milk twist in two different ways – coffee followed by milk or the other way around. What else? Ultra-convenient TFT colour display with BigPicture function, as well as simple and quick cleaning, which is essential for maintaining the right flavour and aroma. Nivona CafeRomatica 8 series coffee machines are a top-of-the-range choice that will meet the challenges of all coffee gourmets. As an alternative to the 8-series, the Nivona CafeRomatica 6-series machines are reasonably priced and also equipped with the Aroma Balance System. The brewing, the quality of which corresponds to portafilter-equipped machines, influences the flavour and aroma of the coffee. This model enables you to save 5 individual recipes in addition to six additional ones that have been added for you to the memory of the device. The additional recipes were created by professionals, so if you don’t have an idea for a new flavour, you can always use a proven one. A grade-A flavour with milky addition. Series 6 features the Easy-Spumatore function, which will prove invaluable if you want to manually prepare a perfect cappuccino or latte. 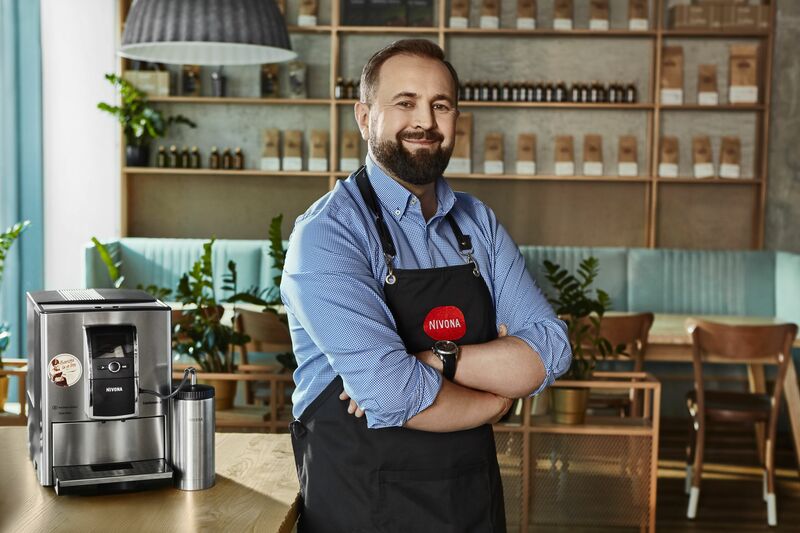 What is more, the machine connects to the Nivona App, allowing you to make coffee from any place in the house. Convenient? Sure! A colour TFT display with its clear icons makes brewing coffee at home a relaxing pleasure.